Where to Start. I dream of a world fueled by creativity, where people lead glorious lives overflowing with passion and purpose. You can absolutely be one of them. So to start, I’d like you to identify what is that you love to do. Name a talent or hobby that you would gladly do for free, and that you could not imagine yourself ever tiring of. That’s the spirit you have to bring to a successful creative business: a willingness to do what you love, even if it feels like you’re the only one who will ever experience it. Test Your Product’s Marketability. There are a few ways to not only test the marketability of a future product, but to enhance the visibility/search-ability of any existing products you might have on the market. If you have yet to launch your own storefront, you’ll find these tools useful throughout the life of your business. Don’t take it personal. When you knit a scarf for your friend or paint a vase for your mother, that’s a hobby. When you list that creation online for sale, that hobby creation becomes business. However, most handmade sellers fail to realize this. 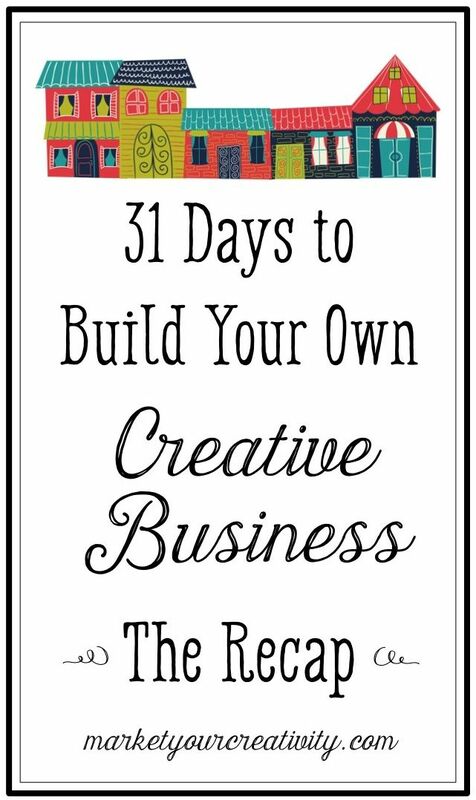 What will you name your creative business? Remember this saying: Build your business with the intention of selling it. This sentence helps you, as the business owner, think more long-term. Whether you’re considering what to call your future business, or thinking about changing the name of an existing one, there are a few things to consider. Trim your expenses. One of the most common errors a new creative start-up makes is to buy shipping supplies or other business needs individually at a local store, rather than from an online wholesale supplier. 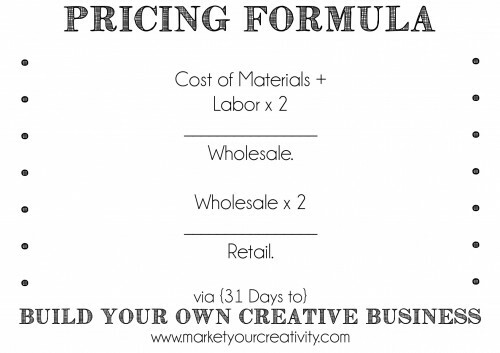 Here are few tips on how to cut those costs and increase your profit! How to price your product. 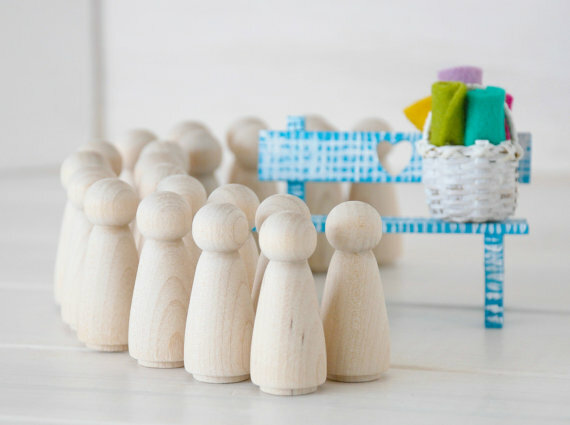 A lot of new business owners often under-price for shipping, pay too much for supplies (and over-price a product), or under-charge for custom orders. In this post, I’ll help you find a happy medium that works for both you and your customer. Packaging 101. Priority number one is getting your product to the customer intact and properly packaged. Consider your experiences with shopping online in the past. When your order shows up at your door, the business either (1.) WOWs you!, (2.) is an average experience delivering exactly what you expected, or (3.) disappoints you in some way. Your goal, of course, is to WOW your customers every time. Shipping 101. Because I’ve grown so comfortable using the post office after three years of business, it’s hard to trace back to the day when the post office intimidated me with all of their options, sizes, prices, and packages. Here’s what to expect when shipping your product. Product photography. Your photographs are the first thing the customer will notice about your shop, and you canteach yourself to take great photos! The best part about self-taught photography is that the handmade maker’s eye becomes the lens through which the world gets to view the product. Your photography must be on par because it’s the only way to get customers to start clicking through your shop. Why sell on Etsy? 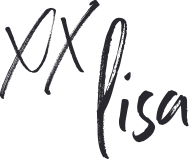 I sell on Etsy, and I regularly encourage other creative businesses to create an online storefront there as well. Why? Read on to find out. How to sell on Etsy. 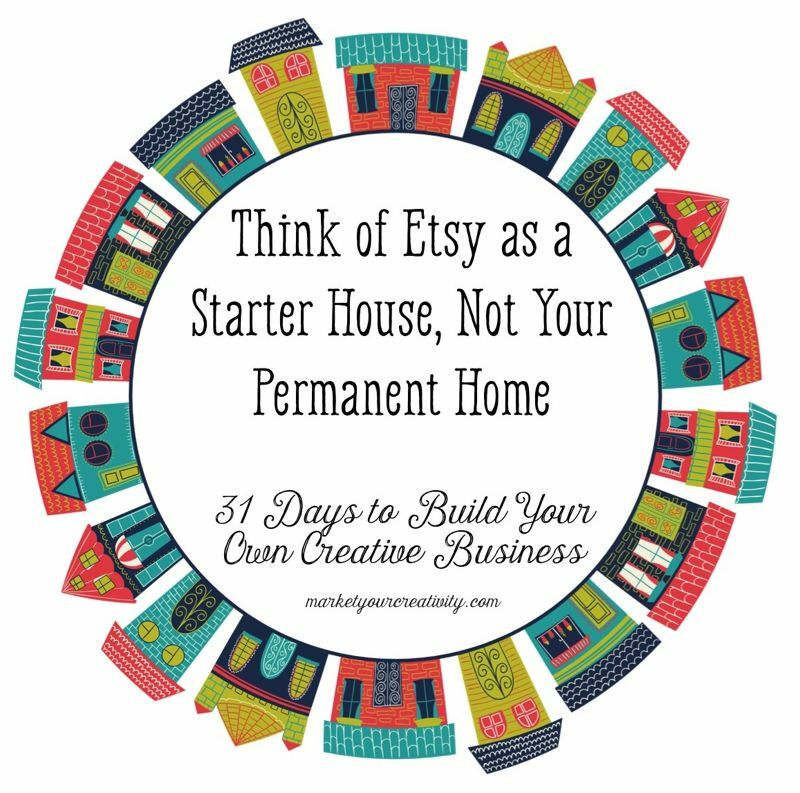 Truth be told, no other handmade marketplace has taken off and stuck the way Etsy has. When I started in 2010, there were approximately 400,000 active sellers on the marketplace. Today, there’s well more than a million and counting. Here are some tips for getting a head start. Complete copywriting. Copywriting is what you might already be calling a “listing” or “description.” It’s when the text you use helps to advertise your product. Your listing should absolutely help you make the sale. 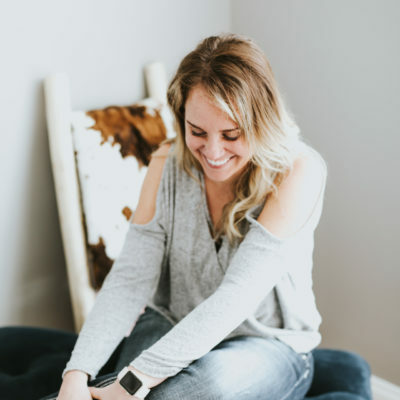 Build a platform for your business.When planning a business, I’d like you to imagine the customers and fans you’ll need to thrive as an “audience,” and I want you to think of your online presence and overall reach as a “platform.” The bigger your platform, the bigger the audience you’ll gain. Start a blog. I want you to blog regularly for your business. If you don’t have a business yet, I want you to blog for the business you might create one day. Here’s why. Social media basics. How to use Facebook, Twitter, Pinterest, and Instagram for your creative business. Connection and networking.When you believe that there is enough business and money for us all, it opens the possibilities and potential connections around you. You feel compelled to reach out to role models, competitors, and other creative business owners that inspire you. Boost your online reputation. Your business’ online reputation is made up of feedback, trust, and brand recognition earned. Here’s why it’s important, how to earn it, and how to build it over time. Use keywords wisely. I don’t rely on Etsy for traffic, and I won’t advise anyone else to do it either. You’re in a marketplace that now has more than 1,000,000 sellers. The advice I give is about being found outside of Etsy through search engines, and pulling the traffic onto your site. Build an email list. Keeping in touch and updating your customers regularly will do wonders for your bottom line. Shop cohesion. A strong and cohesive presence will keep people engaged and interested. Shop cohesion is the ambience you create to pull your visitors in and convert them to paying customers. Here’s how to build yours. Identify your ideal customer. Targeted marketing simply means finding the customers who desire your work. It’s introducing yourself to people who think you’re a Pablo Picasso, rather than waiting a lifetime and beyond hoping that they’ll stumble across your most talented piece. Branding. A strong brand assures them you mean business and alleviates any doubts. A visitor’s first impression of your site should confidently communicate your brand. Wearing many hats. Let’s just stop and consider your day for a moment. It’s probably hard for your family and friends to understand, especially at first. They come and go, and all the while, you’re still lost in your new product, or your online storefront, or whatever else you’re working on. Start-up ain’t easy. Time Management. You owe it to your passion to treat it like a business and manage your time accordingly. That means not letting it grow like a hearty weed into every nook and cranny of your life, but giving it boundaries and tending to it the same way you’d nurture a lush garden. This takes a little planning, but I promise it will be well worth your efforts. Funding your growth. Ask us if we’re investing for our future, and many of us will say, “Yes!” Whether we’re saving for our dream home, our children’s college tuition, or our retirement, we plan ahead. We have personal goals and outlandish dreams, and we visit them often. But, how many of us have such a focused visualization of our business’ future? Perfect your elevator pitch. Ideally, your introduction should be streamlined into two sentences, and those two sentences should clearly summarize your vocation so that somebody who doesn’t speak your career language would still fully understand what you do. The introduction is usually stacked with a lot of information. How to WOW your customers and keep them coming back for more. The majority of my first-time buyers become my repeat customers, and you better believe I honor that bond. I urge you to take a step back the next time you get a sale and see the bigger picture. Don’t think of any sale as a one-time deal; always treat each order as if you’ve just earned a loyal customer for life. Ready, Set, Goal! I find it only appropriate to leave you with some tips on goal-setting for your creative business. If you loved this series, you will absolutely love my new membership program, The Luminaries Club. There you’ll find all of my e-programs, business-boosting challenges and classes for one low an affordable price. As a new Etsy shop owner, I am finding it so exciting and intimidating to have so much sound advise offered to me. LIsa, you have been extraordinarily helpful. I will be working on those aspects you taught that I was overlooking. Very good. I will be retiring shortly. With a small business sense. I am starting my own business in 2016. 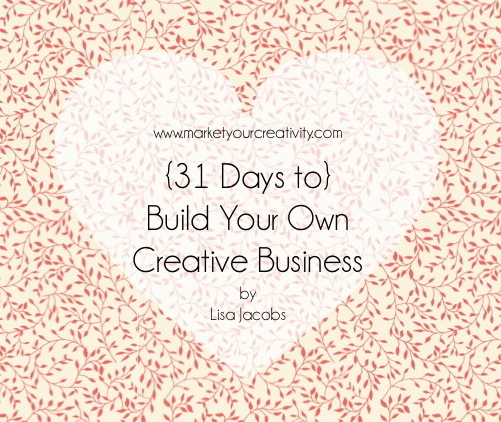 Currently, I am reading Day 14 of “31 Days to Build Your Own Creative Business: A Recap. When I think of writing, I think of proper word usage and grammar, writing style, length, and editing skills. I don’t feel my writing is good enough to start a Blog. Do you have any advise for someone who isn’t a great writer?